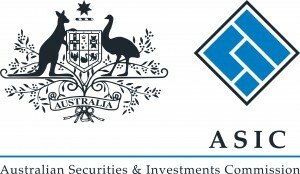 The Australian Securities and Investments Commission (ASIC) has issued an announcement outlining that Interactive Brokers (NASDAQ:IBKR) is preparing to refund more than 3,000 of its Australian customers with the fees and commissions which they paid to the broker for retail margin loans. The company will refund about $1.5 million to its customers and in addition pay $100,000 to the Financial Rights Legal Center which deals with matters of educating the Australian public about financial services and consumer rights. 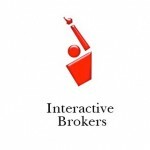 Interactive Brokers (NASDAQ:IBKR) has been engaged in a voluntary undertaking with ASIC since August 2013 when it agreed not to issue nor increase any new or existing margin loans. The company has also wound down its facilities and is currently not offering margin lending facilities to ‘natural person’ clients in Australia. The regulation of margin lending began on January 1st, 2010, with the introduction of the Corporations Legislation Amendment Act, which required issuers of margin lending to be regulated by ASIC through an Australian Financial Service (AFS) license. In addition, under the Australian regulatory environment, every client’s creditworthiness has to match his risk profile. PricewaterhouseCoopers will be reporting on its verification of the refund process to ASIC and IB. They weren't done for leverage, they were done for providing unlicensed services. Looks like ASIC is sending a message to all those unlicensed providers out there. I wonder who's next. A couple of those binary options providers should start getting nervous or maybe it will be another unlicensed MDA service.